HitBTC is the 11th largest cryptocurrency exchange by daily volume according to CoinMarketCap.com data as of writing (March 2018). 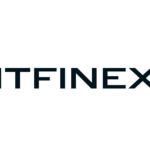 The HitBTC exchange platform launched in 2013 and is operated by Hit Techs, Limited based in London. HitBTC, or HIT Solution Ltd, is registered under Hong Kong jurisdiction. It prides itself in being “the most advanced Bitcoin exchange” which this article will evaluate in full depth. HitBTC has 485 different digital coins and tokens available for trading with pairings in BTC, ETH and USDT. The unique trait about this exchange is that some coin pairings are only offered with BTC or with ETH. For example, Rivetz (RVT) only trades with BTC and Origin Trails (TRAC) with ETH. This puts certain limitations as investors and traders have to both have BTC and ETH to fully utilize the trade pairings. To create an account, simply go to HitBbTC.com and register with an email address and a password. Once you validate your email by clicking the link they send to the email. Using two-factor authentication is not required but highly recommended (by them and by us). In the Account tab of the exchange (Displayed above), you can view your wallets. What is interesting is that they have a “Main Account” and “Trading Account”. Users deposit and withdraw from their main account and in order to trade, users must transfer (for free) their funds from the main account to the trading account. HitBTC’s Trading platform (shown above) can be argued as one step ahead of the usual market exchanges. It does try to exemplify itself as the ‘most advanced Bitcoin exchange’. It has over 480 coin pairings between BTC, ETH, and USDT. They also have a tab for ICO’s, or coins that were recently in the ICO stage and hit the exchange. They have the usual order book, trade history, and charting application. HitBTC’s charting application is pretty basic but they also have the option for users to switch to Trading View’s style of charts without exiting the exchange. Their buying/selling options include: Market, Limit (Good-Till-Cancel, Fill/kill, Good-Till-Date), Stop-Limit, and Scale orders. On top of all these features which are considered ‘standards’ of popular exchanges like Bittrex, GDAX, and Binance, HitBTC also has a ‘TrollBox’ which is simply a chatbox for English or Spanish speaking users. The Reports tab simply keeps track of all of a user’s trades that were made from their account. It has an export function, so users can easily export their trading history onto a CSV (Excel-compatible) file which comes in handy come tax season. The Markets tab shows an overview of the market, the market spread, market depth, and the market activity. The Overview gives high level metrics such as past 24hour volume, % changes, last price, highest and lowest prices within 24 hours for each coin pairing. The Market Spread shows the best current bid and ask and the % difference of spread of each coin pairing. The Market Depth tab tracks the total volume of the order books for all coin pairings. The Market Activity tab shows every trade that has ever been executed and users can sort through by date, time, and pairings. Users can also export this data into a .CSV or .XLSX file. The System Health tab (depicted above) is HitBTC’s way of transparently showing their system’s health for each cryptocurrency. Users can check this to see if their coin/token of interest is currently available for deposits, transfers, trading, or withdrawals. They also track maintenance statuses and pending and last successful deposits and withdrawals. HitBTC, similar to GDAX, has different fees for makers and takers. For Takers, those who buy/sell at market price (takes liquidity off the market), are charged a 0.1% fee for that trade. The Makers, those who set limit orders and create liquidity into the market, are not charged a fee and in fact given a .01% rebate off the trade. For example, if current price of 1 BTC = 10,000 USDT. The maker sets a limit buy order for 1 BTC at 9,950 USDT and the taker sells 1 BTC for 9,950 to the maker, the taker incurs a fee of 9.95 USDT while the maker receives a 0.995 USDT rebate and does not pay a fee. HitBTC also has deposit and withdrawal fees. While most cryptocurrency exchanges do not have a deposit fee, HitBTC charges a fee to deposit onto their site. This fee varies based on the type of coin being used. The withdrawal fees are competitive and similar to that of other exchanges. The main advantages of using HitBTC are the low fees for market makers (0% fees + .01% rebate! This is the best deal out of the major exchanges, in my opinion), the variety of coins, and their transparency and willingness to show their activities. Because they have arguably the best deal for market makers, users who are accustomed to setting limit orders would benefit from their fee policy. Also, since they have a wide variety of coins (they are in the top 5 exchanges in terms of the amount of coins offered), traders and investors both have a chance to buy/sell in markets not readily available at other popular exchanges. Their transparency and ability to allow users to download not only their own personal trade history, but the ENTRE site’s trade history gives them an edge in transparency and shows their willingness to comply if/when the exchange gets audited by government bodies. The main disadvantages of HitBTC is the latency regarding their website, their deposit fees, and their ‘main’ vs ‘trading’ accounts. One of the biggest pain points of HitBTC that I noticed is how unusually slow the site takes to load. We have tested their site speed across multiple computers using different browsers and it almost always takes at least several seconds to go from the exchange platform to the account page. It also seems to slow down the computer while loading. This could be a back-end issue or a traffic issue, either of which could very well be resolved in the future. They also have a deposit fee, which is very unusual for major cryptocurrency exchanges. Normally exchanges do not charge a deposit fee as they WANT more liquidity in their exchange. However, HitBTC charges a small fee per deposit. For this disadvantage, I recommend users depositing a one time, large amount of their favorite crypto since the deposit fee is a flat fee that does not increase dependent on the size of the deposit. This would make most sense and most feasible for investors. Their last disadvantage is that you have to transfer from your ‘main account’ to your ‘trading account’. Personally, I do not see the difference between the two accounts. The Main Account is not more secure than the Trading Account. They do not require a transfer fee and it is instantaneous so why is there a need to switch accounts in the first place? This seems against the grain and could be possibly confusing for newcomers. Overall, I think traders and investors alike should have a HitBTC account. Not only has it been one of the older, more respected exchanges, but they are also transparent, low in fees (for market makers), and have a huge variety of coins. The disadvantages discussed are quite minor but they do serve as detractors for me personally to use it frequently. However, since they host over 480+ coin pairings, users can find and trade coins that they cannot find anywhere else.